Biotechnology stocks and sector-specific ETFs climbed Monday after Roche (RHHBY) acquired gene therapy researcher Spark Therapeutics (ONCE). Among the best performing ETFs of Monday, the Invesco Dynamic Biotech & Genome ETF (NYSEArca: PBE) increased 5.4%, SPDR S&P Biotech ETF (NYSEArca: XBI) advanced 4.2% and ALPS Medical Breakthroughs ETF (NYSEArca: SBIO) gained 3.1%. The biotech ETFs were testing their long-term resistance at the 200-day simple moving average as well. Meanwhile, the iShares Nasdaq Biotechnology ETF (NASDAQGM: IBB), the largest biotech exchange traded fund by assets, rose 2.0% and also broke back above its 200-day trend line. Roche announced it will pay $4.8 billion to acquire Spark Therapeutics. Spark stocks surged over 120% in response to the announcement. ONCE makes up 1.5% of XBI’s underlying holding and 3.5% of PBE’s portfolio. 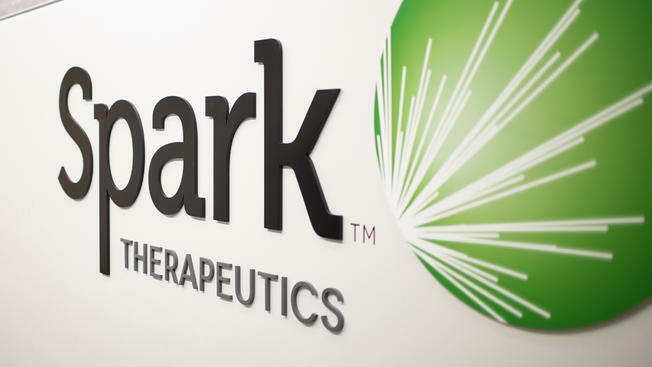 Spark Therapeutics is so far the only company to have successfully released a gene therapy for a genetic disease in the U.S. after gaining FDA approval for its Luxturna treatment for a rare genetic eye defect.